I have a dilemma. No one comes to my office hours anymore. I made this realization years ago when I would find myself alone in my office, staring at the clock, waiting for my “shift” to be over or filling that time with grading and lesson planning. On average, I’d probably have 1-2 students come see me before the end of the quarter and it was usually because the situation was dire. Later, I changed my approach to be more flexible. I didn’t have fixed office hours so that students could make appointments with me that better accommodated both schedules. Students would approach me either in class or via email to set up an appointment time. For a time, this strategy worked very well to catch struggles and issues earlier on. Despite all of these efforts to be available for students, resolving major issues, addressing prolonged absences, and discussing successful study strategies are not what the typical student emails me about. Now, students email me about anything and everything. It wouldn’t be too bad filtering through emails, if students also didn’t have the expectation that professors respond to any email with 48 hours, during which all of the responsibility for investigating that question gets placed on the instructor. “I wasn’t sure what to do, I was waiting for a response from you,” is the usual response I get if I was too busy to answer a non-urgent email. It’s difficult not to become frustrated in this scenario when about 2.5 hours of my day is spent answering emails. With work-life balance considered, that means that ¼ of my day is spent unproductively. During that time, I could have been working on assessment, lesson planning, or updating content with current research. This is not the only email communication concern I have. At least three times a quarter, I need to gently correct the students that choose to address me by my first name as opposed to my professional title- Professor Vlad-Ortiz. To their merit, once corrected, students do not repeat that mistake. What happens far more often is unclear communication and informal tone. Emails starting in “I need you to…”, or “lift my registration hold…” demonstrates a misunderstanding of the formality needed to address faculty. Rather than phrasing their request politely, it reads more like a demand. Because of the implications and expectations loaded into each of these emails, it is important to investigate and address appropriate strategies for teaching effective email communication to students. Why is all of this important? Understanding how to properly communicate online, including email, is part of good digital citizenship. The skills of knowing email appropriateness, tone, and formality are essential to be successful in the 21st century. Though there are several other caveats to good online communication, I’ve identified three basic email communication components to help students get started in practicing successful digital citizenship. Figure 1.1 Overview of Email Communication Basics. All emails to educators, regardless of their title, should be formal. The educator-student dynamic is professional in nature so communication should reflect that relationship. Addressing professors by their professional name not only establishes that formal relationship, but as Molly Worthen, Assistant Professor at University of North Carolina, explains, in a world where formality is on the decline, using a professor’s title helps to ensure respect regardless of the professor’s race, age, and gender, (Worthen, 2017). This is particularly important considering that it is the more privileged students that tend to violate this formality, (Worthen, 2017). Along the lines of respect, the tone of the email should be polite and courteous. By sending an email, the sender is asking for the professor’s time and consideration on a particular manner. Worthen brilliantly explains that requests should not sound like a text message nor communication with a customer service representative, (Worthen, 2017). As with my examples above, the professor doesn’t need to do anything, as in “I need you to lift a hold from my account,” or “I need to register for your class…” but rather understands that the sender is asking for a favor. As Mark Tomforde, Associate Professor at University of Houston, very accurately describes, professors are incredibly busy, so emails should truly represent issues that can’t be resolved through any other means. Using email to request anything and everything trival is a disrespectful of the professor’s time and expertise, (Tomforde, n.d.). Emails should demonstrate that the sender has already taken several steps to solving the problem on their own and clearly defines how the reader can help resolve that problem, (Purdue, n.d.). Ideally, the issue should be quickly resolved through one email and the sender should be able to distinguish when it is appropriate to talk in person as emails should not be substitutions for real conversations, (Tomforde, n.d.). Role of the Educator. 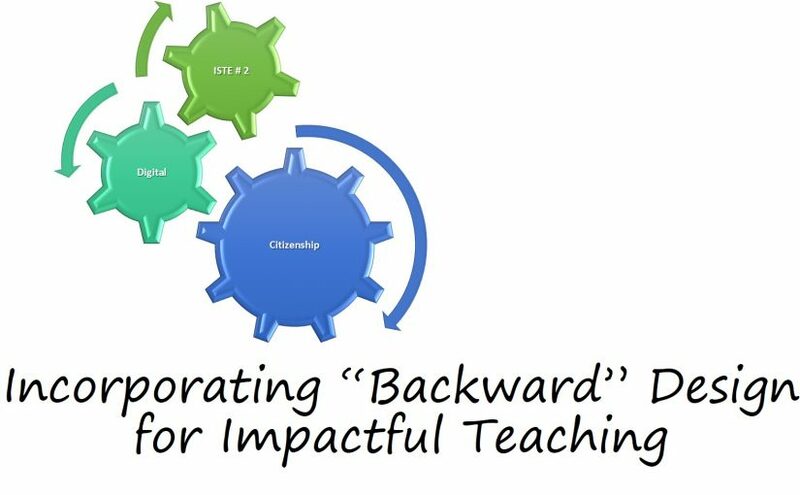 According to the ISTE standard for educators, the role of the educator is to “…inspire students to positively contribute to and responsibly participate in the digital world,” (ISTE, 2017). The key words in that definition are “positively contribute” and “responsibility participate”. The issues addressed above indicate that there is a weight to the actions and intentions set-forth in email and other online communication. The responsibility of the student is to create communication that is both framed positively and courteously while taking the responsibility for the resolution of the email’s request. 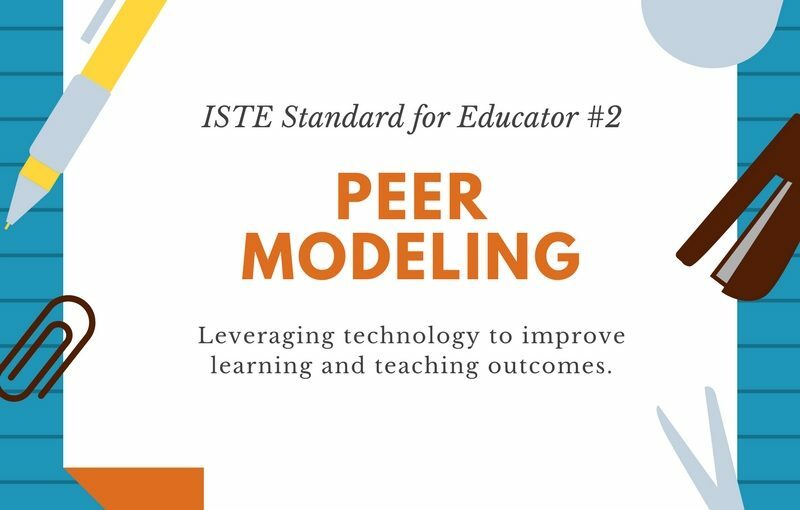 One of the indicators for this ISTE standard charges educators to “create experiences for learners to make positive, socially responsible contributions and exhibit empathetic behavior online that build relationships and community, (ISTE 2017). Relationships and community rely on the actions of many in order to be successfully built. In building a healthy online community, we can’t expect students to just know how to behave and communicate properly. Skills are not intuitive and should be taught. 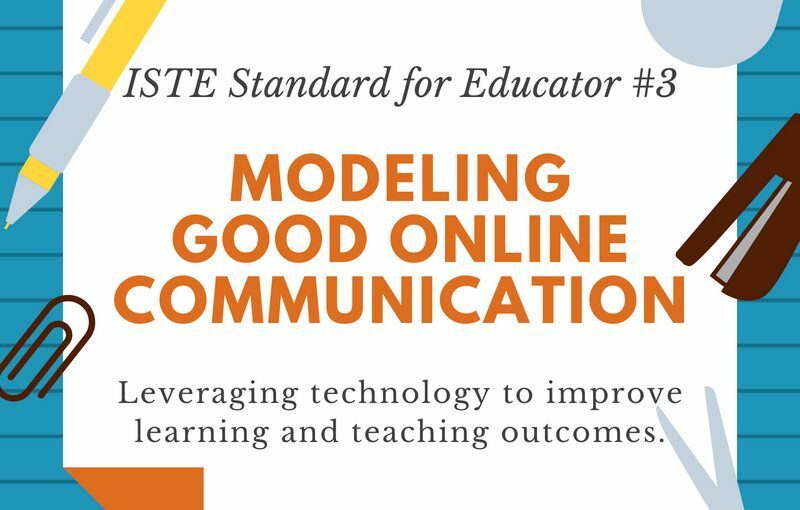 In order to address this ISTE indicator, I’ve compiled three solutions or strategies can be used to reverse the current culture and promote good digital citizenship for our students. Figure 1.2 Overview of Educator Strategies for Online Communication. 1) Professor Modeling. Teaching digital citizenship is a shared responsibility, so it is important for educators to actively address and model proper practices on a regular basis, (Crompton, 2014). 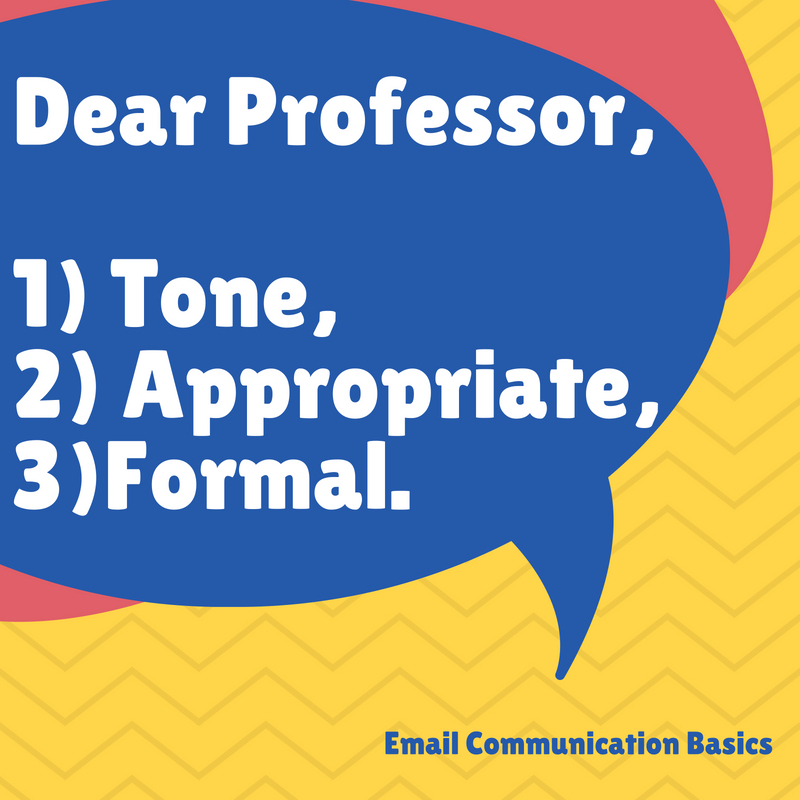 In addition to using good email etiquette when communicating with students, professors should give students opportunities to explore and practice good etiquette. This can be achieved through explicit learning. For specific examples, Helen Crompton provides three scenarios of how digital citizenship can be modeled by professors in the classroom. Another example is an activity that Mrs. Jizba created in which she has students write two emails, one to their friend and one to their principle. She engages the students in a conversation about what content, tone, and choice of words are appropriate in each scenario. This simple activity clearly demonstrates how students establish the norms of good digital citizenship through modeling and practice. 2) Explicit language in department handbook that is then repeated in syllabi. Just as there are codes of conduct at each institution, departments should include standards of conduct for online communication. 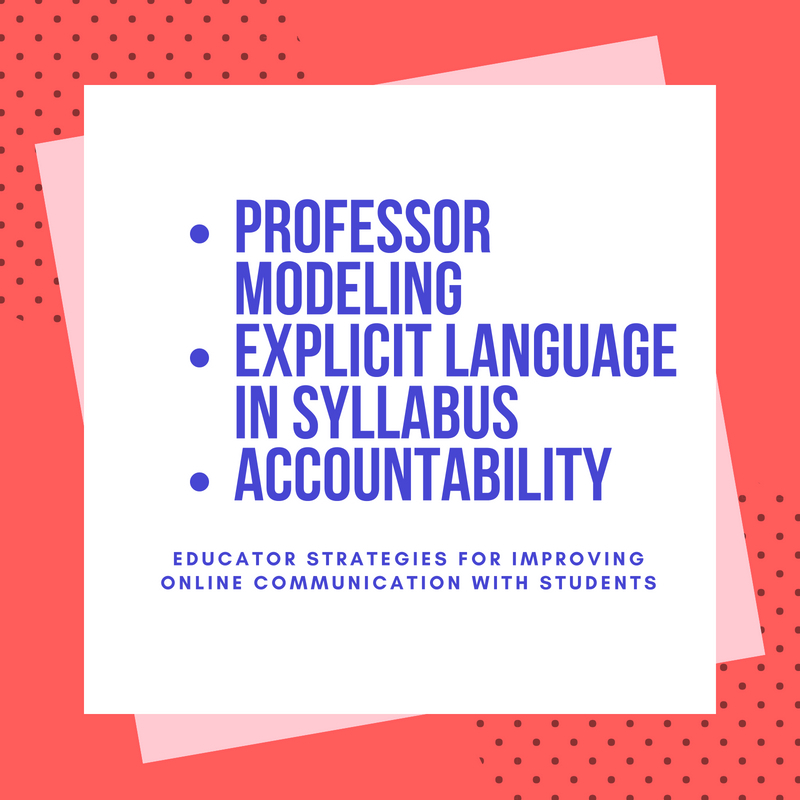 In order for these standards to have impact, each faculty member should mirror these standards in their syllabi. Through these collaborative efforts, the message of appropriate online communication is clear and consistent. 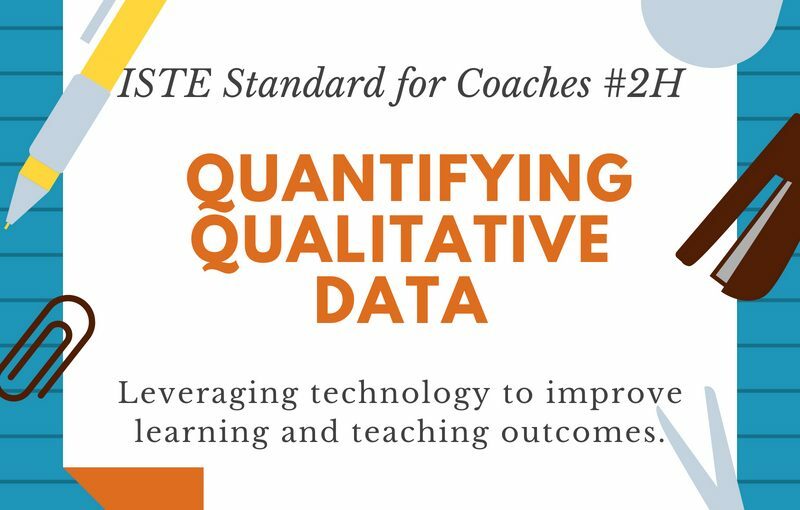 Both Worthen and Tomforde share their guidelines to help with standard development. 3) Holding students up to the expectations. Just as important as modeling and creating language in the department handbooks and syllabi, is holding students up to those expectations. That means addressing any violations in a gentle and professional manner. For example, when students address me incorrectly, I respond back with, “We are a formal institution and ask that students address all faculty by their professional title, in my case you would address me as Professor Vlad-Ortiz. Please know that I am telling you this not to reprimand you or make you feel bad, but simply to let you know of our institutions professional standards so that you avoid potentially offending faculty in the future.” As Worthen concludes, it’s all about treating students as adults, (Worthen, 2017). As educators, we prepare students for the real world. If we do not hold students to these expectations, they will not be successfully prepared for their future professional lives. Whenever I think of the word “innovation,” I am reminded of the bear, honey, and powerline story. If you are not familiar with this story, I’ll offer a brief synopsis here, though there are other detailed versions available. Employees of a powerline company met to brainstorm the issue of snow and ice accumulation on power lines which would down the lines in winter months. Despite formal, morning-long brainstorming, the session yielded little results. Frustrated, the team decided to take a short break. While on break, a few of the team members began to talk over coffee where one team member reminisced about how he got chased by a bear while out servicing the lines. After a good laugh, other team members jokingly suggested that they get bears to remove the snow/ice by placing honey pots on top of the powerlines. Continuing the joke, one team member suggested that they use helicopters to place the pots. This idea was put to rest as another team member mentioned that the vibrations from the helicopters would scare the bears. Suddenly they realized they had a great solution on their hands, the company could use helicopters to remove the snow/ice through the force and vibrations caused by the helicopter blades. Because of this impromptu brainstorming session, using helicopters to remove snow and ice from powerlines is a common practice today. 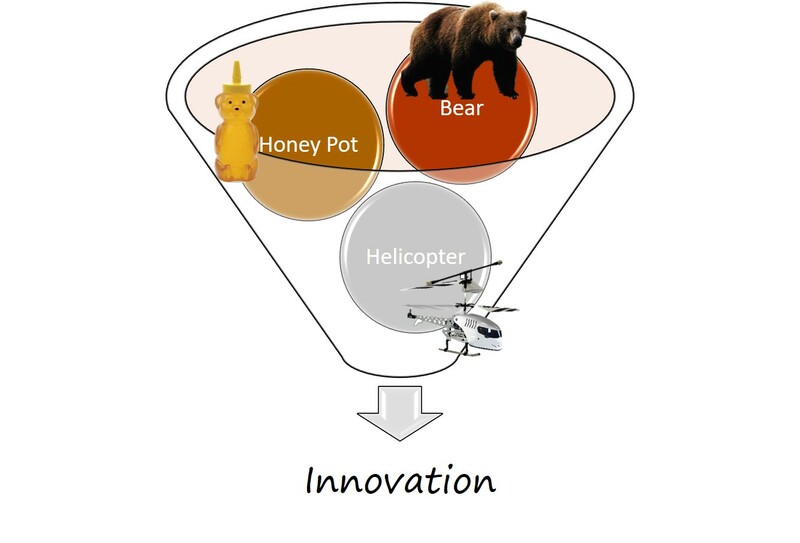 Figure 1.1 A bear, honey, and a helicopter for innovation. I like this story because it dispels the misconception that to be innovative you must create something new, like a product or a service. Instead, innovation can be a way to problem solve. Much like the process that unfolded in the bear story, students should be encouraged to problem solve in creative ways. 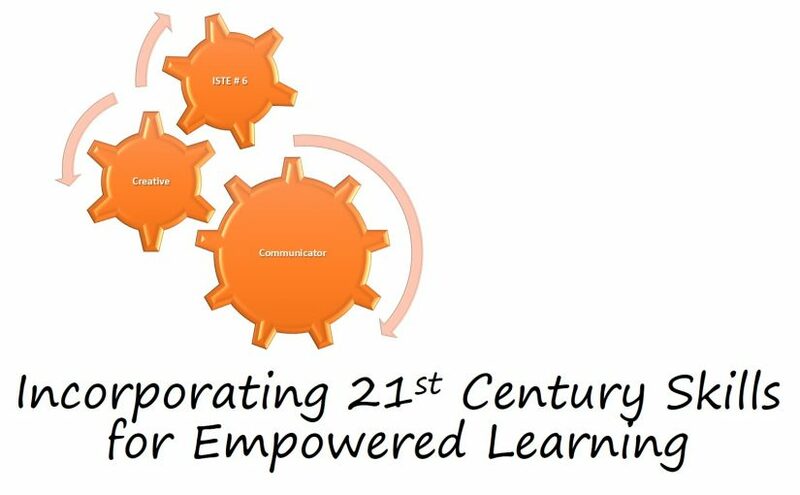 By offering students opportunity to seek, identify, and apply information, they are building cognitive flexibility, a 21st century skill, (Kuo et. al., 2014). Cognitive flexibility encourages the development of creativity needed for innovation, a concept that involves the ISTE innovative designer standard where “students use a variety of technologies within a design process to identify and solve problems by creating new, useful or imaginative solutions,” (ISTE, 2017). So then, how do you get students to begin thinking less about the “correct answer” and more “bears, honey, and helicopters” for innovation? This can be particularly difficult when students historically have been offered a “right” and “wrong” depiction of problems. Students can be “eased” into creativity through scaffolding using the systematic thinking concept of the creative problem solving model, (Kuo et. al., 2014). A summary of the model can be found in figure 1.2 below. 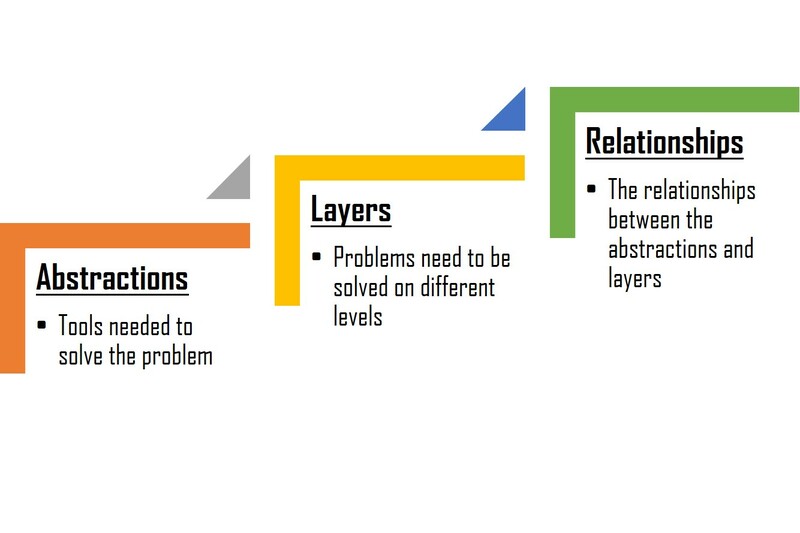 The creative problem solving model transitions students between understanding a problem, generating ideas about the problem, and finding solutions to that problem, (Kuo et. al., 2014). The students evolve their thinking from identification to more complex thinking, ultimately evoking creativity and innovation. 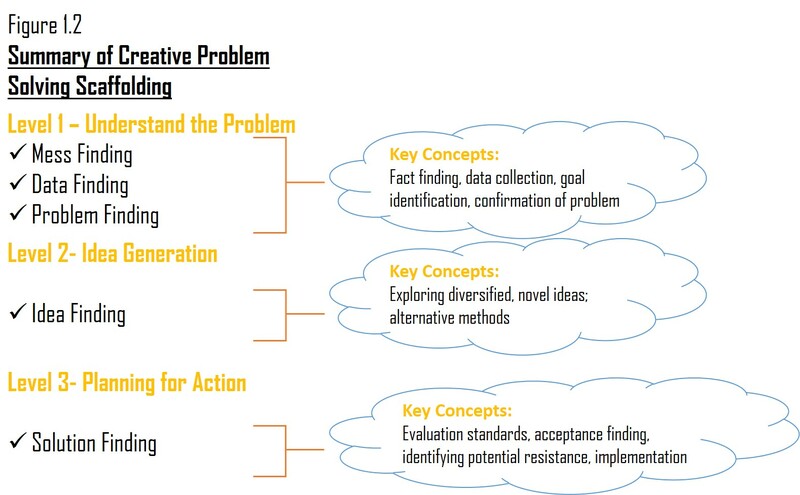 While the creative problem solving model can be used to build cognition through various problem-solving steps, problem-based learning (PBL) can help format the classroom to help achieve self-directed learning. An instructor can start with any question-type from the creative problem solving model and allow students to work through that question with PBL. 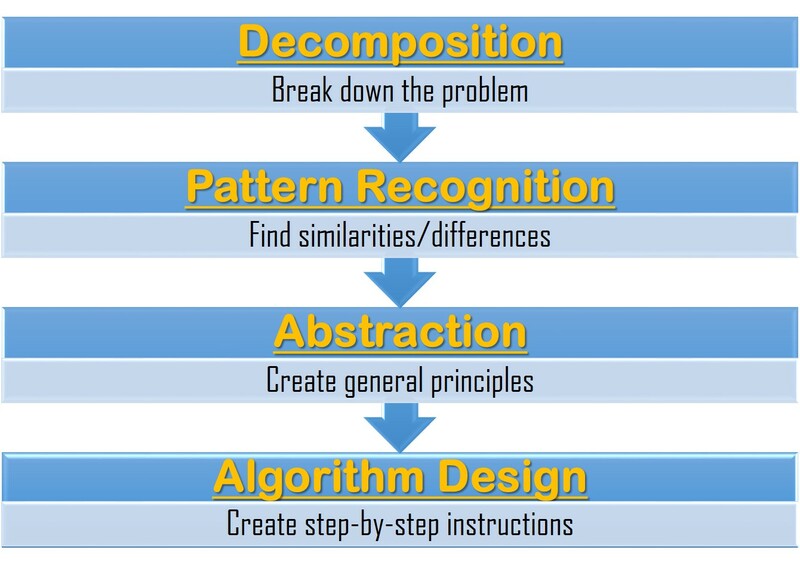 The general process for designing a problem-based classroom is demonstrated in figure 1.3 below. According to the National Academies Press, a PBL activity focuses on student-centered learning where the instructor is a facilitator or guide and the students work together to gather information, then generate ideas to solve the problem. The problem itself becomes the tool to obtain knowledge and develop problem solving skills, (National Academies Press, 2011). PBL is not without its faults, in using PBL, students have slightly lower content knowledge than in the traditional classroom and students in a group may not share the same level of cognition, (National Academies Press, 2011). Despite this, students engaging in PBL have a higher retention of content than in traditional classrooms, are better able to apply their knowledge, and have a deeper understanding of the content, (National Academies Press, 2011). Several of the classes that I teach are content-based/coverage-based classes. These classes are designed to be foundational, meant to prepare students for higher level or more in-depth, application-based classes later on. 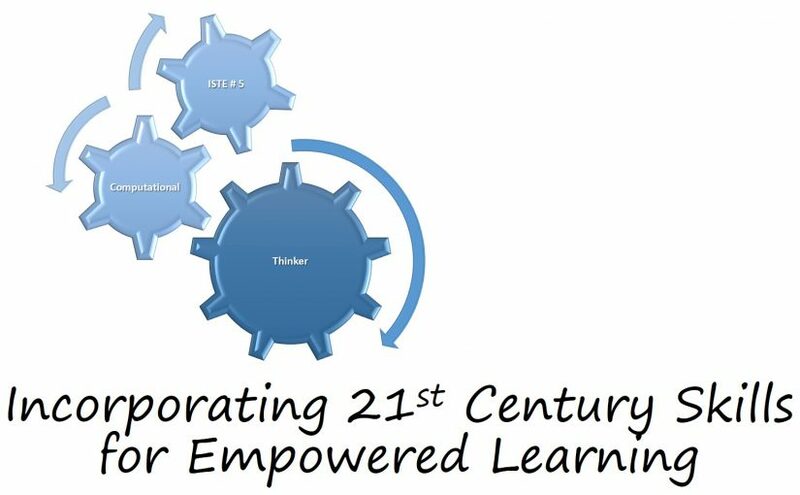 As I was thinking about problem-based learning, I started wondering: “how can we fully expect students to become problem-solvers and apply content in more advanced classes when all they are expected to do is identify a concept in these foundational classes”? Students really don’t understand the importance of a particular topic because the idea of application and innovation isn’t introduced until they are in another class. To help give these coverage-based classes more meaning to the students now, I am considering applying more PBL-based activities to directly replace coverage-based activities. My investigation leads me develop the two guiding questions below that will help me gather ideas on how to solve this problem. I realize that I am essentially engaging in my own PBL. Question 1: What are some examples of problem-based, or “idea-finding” class activities that better support student learning in coverage-based classes? One resource that addresses this question is from the National Academies Press who published a summary of two workshops conducted in 2011 on “Promising Practices in Undergraduate Science.” The selected chapter (Chapter 4) summarizes the benefits of problem-based learning and describes 3-methods that show promise in content-heavy classrooms. Additionally the chapter provides templates or guiding principles for problem based activities, case-scenarios, and complex problems that are clear, concise, and general enough that they can be applied to various assignments or learning activities. However, this chapter does not address specific examples to use as a model. Despite this, the chapter is supportive in building theory and gathering initial ideas for PBL in the classroom. Another resource that may help address this question comes from the The Creative Classroom Project. The project is a website created by the Eramus project led by university lecturers in Estonia specializing in digitally-enhanced learning scenarios. 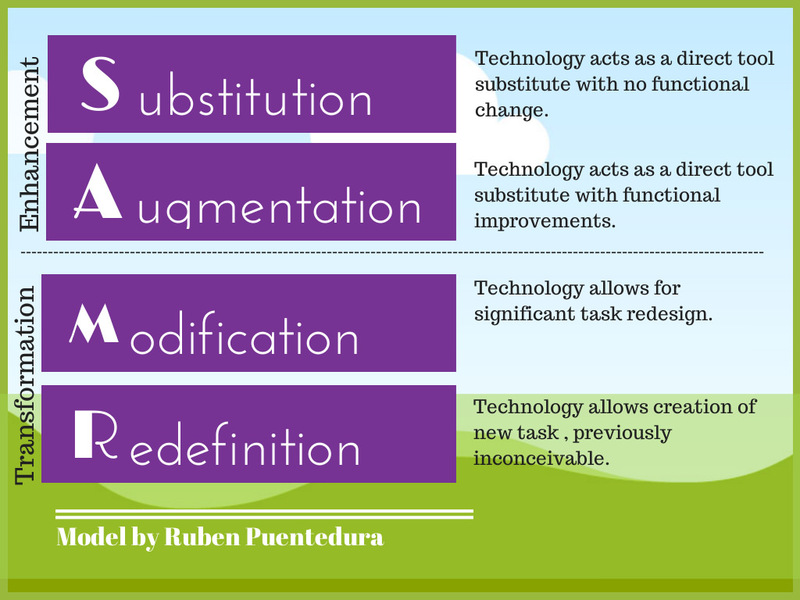 The website/blog provides not only offers theory-based ideas but actual examples of the various methods that use PBL. The professors call the various PBL methods “learning scenarios” and base their work off of a “trialogical learning design.” Though most of the examples are for primary and secondary education, the formatting is helpful in brainstorming similar scenarios for higher education. LePlanner lesson plan templates from the Creative Classroom Project. This resource provides several examples of specific tech such as padlet, pearltree, and mindmiester, that can be used to enhance classroom activities. The templates also provide lesson plans (via LePlanner software) which includes description of objectives, class activities that meets the objectives, and even includes timelines for each activity. 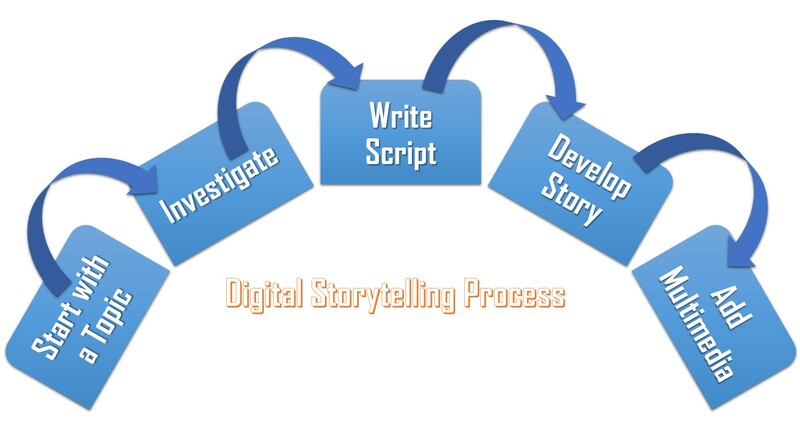 Digital storytelling corresponds with the case-studies (case scenario) PBL method. According to the National Academies Press chapter, one of the justifications for using case studies is that it is a form of storytelling. Storytelling helps students learn by integrating knowledge, reflecting on ideas, and later articulating them while considering various perspectives, (National Academie Press, 2011). Digital storytelling is a way to introduce technology as a problem-solving tool and helps students express their various perspectives. 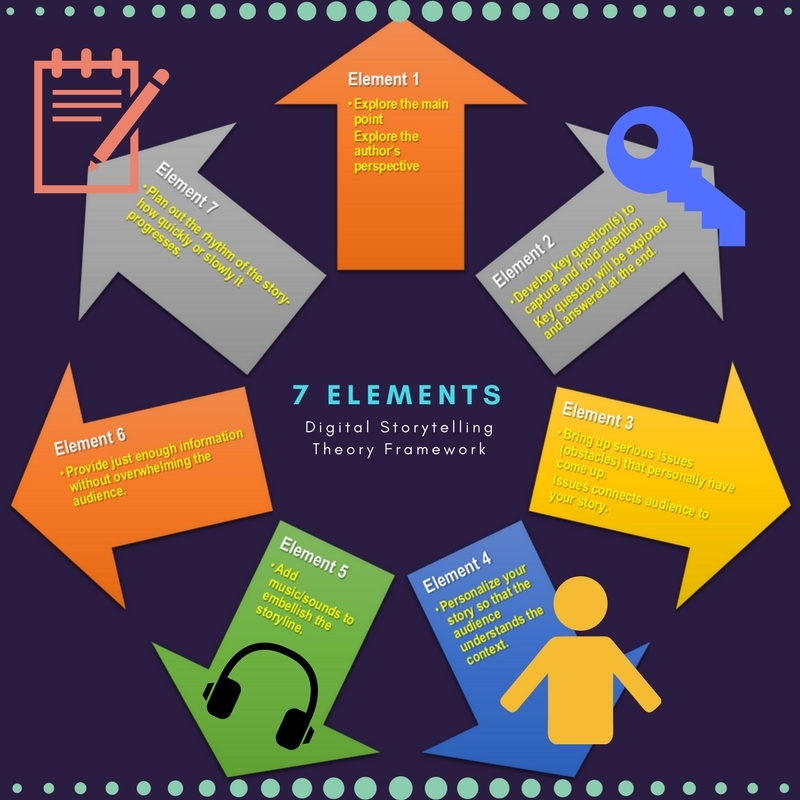 This digital storytelling resource offers background information about digital storytelling, the seven elements of storytelling, and resources (tech solutions) can be explored. I had never considered using blogs, pinterest, and other such social media resources for the purposes of digital storytelling. This investigation has been a great first step in generating ideas for implementing more PBL activities into my content-intensive courses. There seems to be an endless world of possibilities for integrating technology to develop creative solutions and innovation in the classroom. What I find interesting is that my findings mirrors that of the bear, honey, and helicopter story. I discovered that coming up with a solution to my questions doesn’t involve reinventing the wheel, but rather considers ideas/products that already exist and using them in creative ways. For example, I would have never considered using the Pinterest app or even Google Docs as a creative solution to digital storytelling. Nor would I have considered that developing good problem-solving skills for students simply involves asking the right questions. My process doesn’t end here. 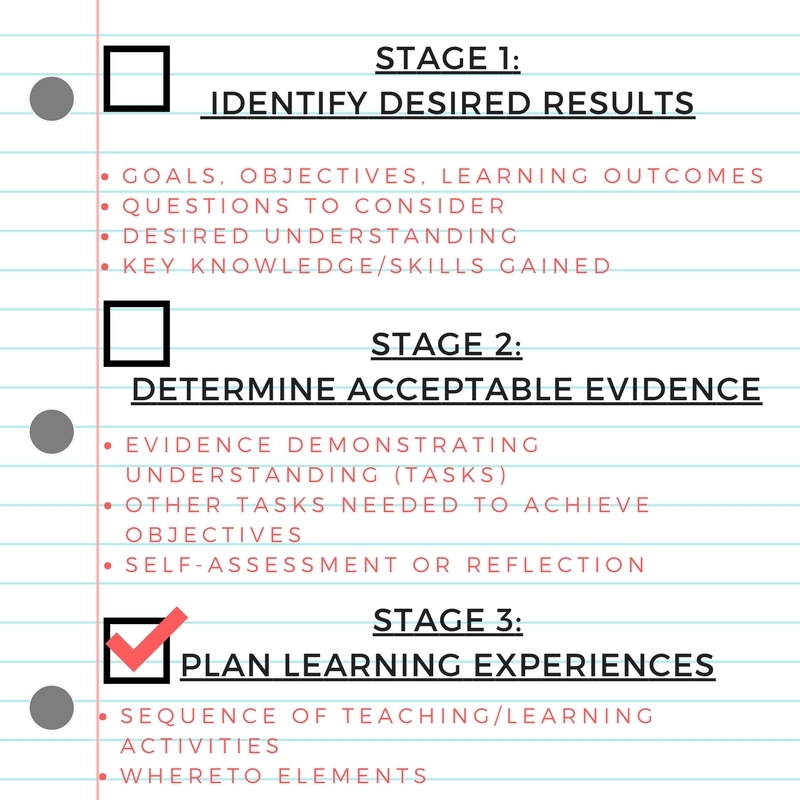 If I choose to implement PBL, the next steps will involve the six-step process highlighted in this article to successfully design, implement, and evaluate problem-based learning. I need to carefully consider the major objectives of my course(s) and the amount of time needed for this process. As suggested by the National Academies Press, successfully implementing any of the PBL methods takes time which may not always be a luxury in coverage-based classes. Before moving forward, I need to understand that I would not be able implement PBL with every topic but must carefully select activities that would help solidify the major objectives of the course. 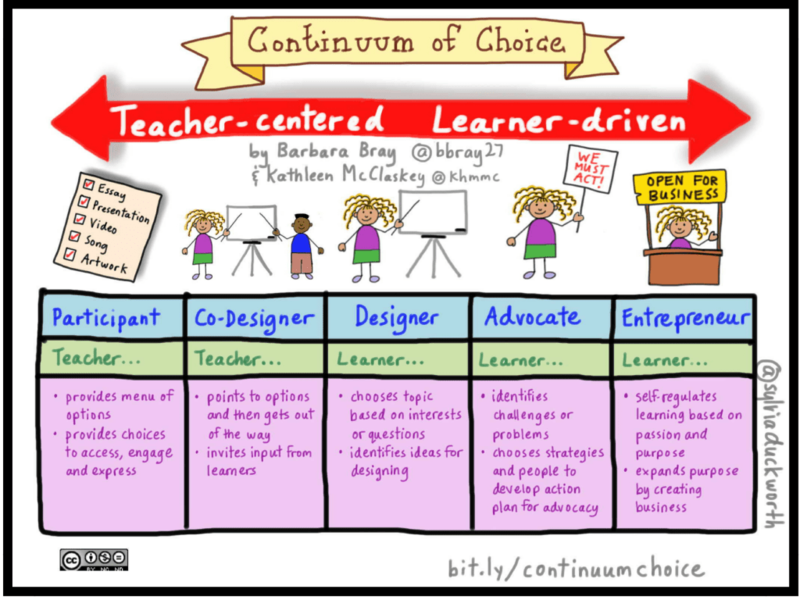 My colleagues and professors have also suggested using alternative models such as the human-centered design or Kathleen McClaskey’s Continuum of Choice (see figure 1.4 below). I would need to investigate which design model best fits with specific course needs as well as brainstorm what questions need to be asked in order for problem-solving to be effective. Perhaps the answer to these questions will be course-specific and may require the use different models for different activities to further promote cognitive flexibility. Kuo, F.-R., Chen, N.-S., & Hwang, G.-J. (2014). A creative thinking approach to enhancing the web-based problem solving performance of university students. Computers & Education, 72(c), 220–230. National Academies Press. (2011). Chapter 4: Scenario-, problem-, and case-based teaching and learning. In National Academies Press, Promising practices in undergraduate science, technology, engineering, and mathematics: Summary of two workshops.(pp. 26-34.) Washington, DC. DOI: https://doi.org/10.17226/13099. 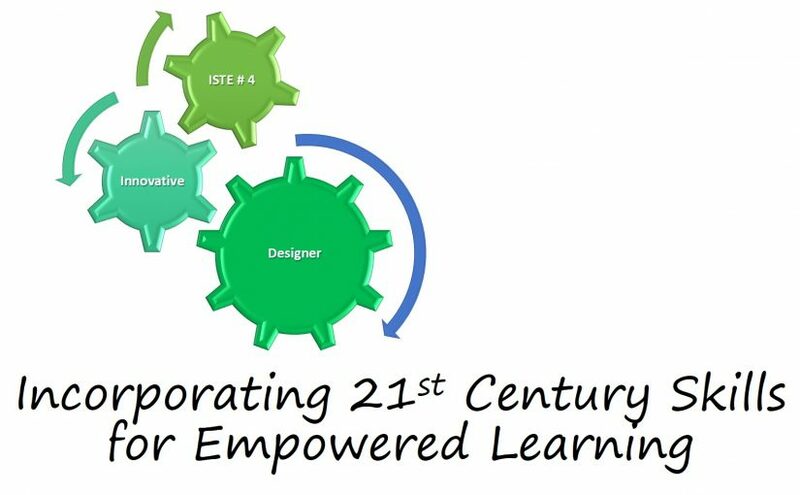 The search for technology solutions that build 21st century skills to empower students continues with the concepts of “knowledge construction” and “content curation”. 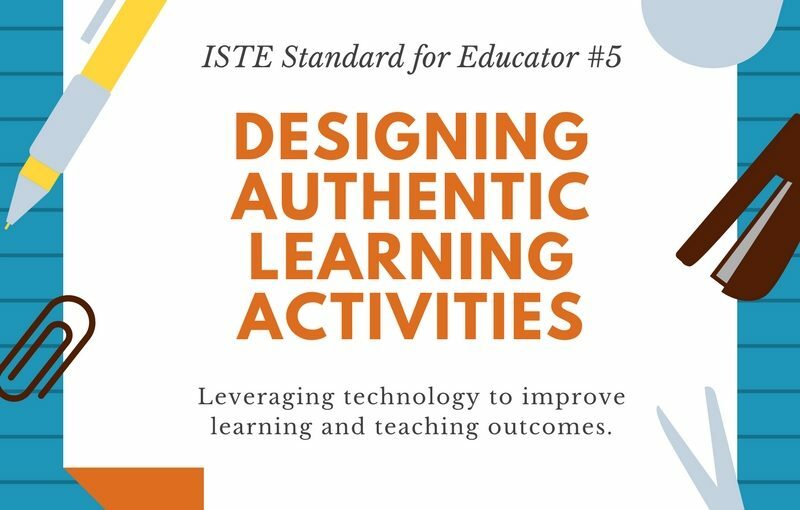 The ISTE standards for students defines knowledge construction by the ability of students to, “…critically curate a variety of resources using digital tools to construct knowledge, produce creative artifacts and make meaningful learning experiences for themselves and others”, (ISTE, 2017). 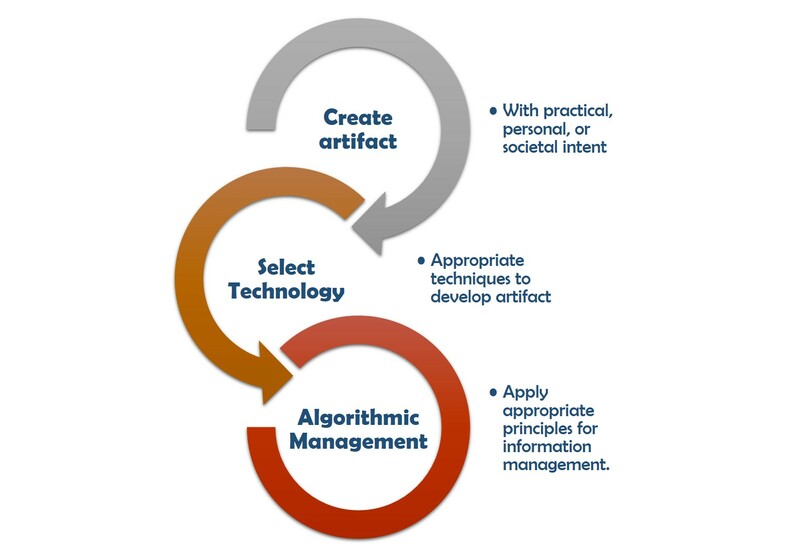 This means that students use effective search strategies to investigate meaningful resources linked to their learning, critically analyze information, create a collection of artifacts demonstrating connections/conclusions, and explore real world issues, developing “theories and ideas in pursuit of solutions,” (ISTE, 2017). Unlike any other time in history, students today face an enormous challenge of receiving, processing, and using countless bytes of content per day. 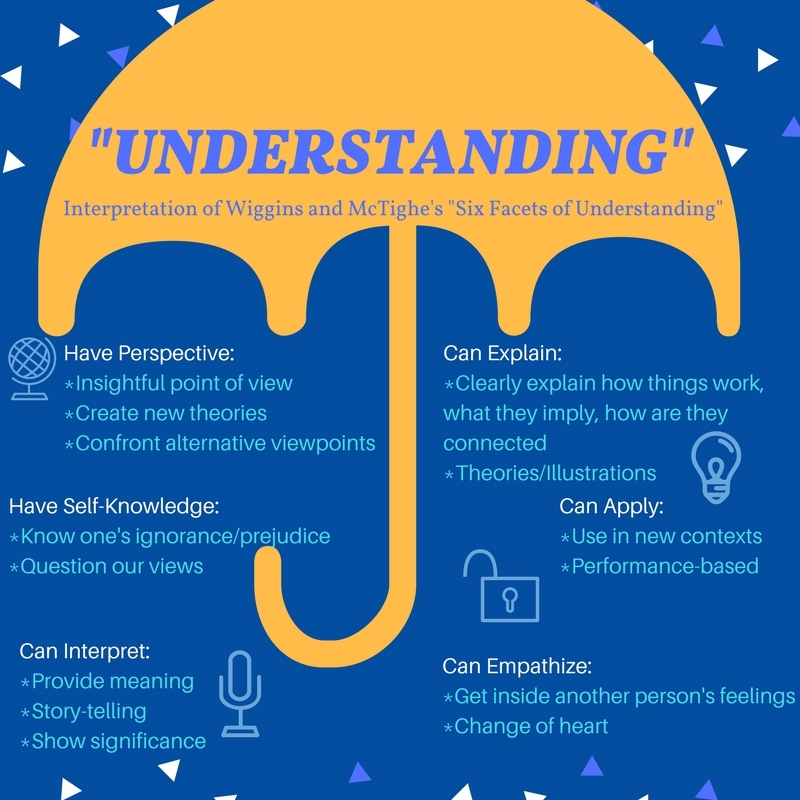 Understanding how to decipher useful vs. unuseful, relevant vs. irrelevant, credible vs. not credible information is an incredibly important 21st century skill. Some are even saying that “content curator” and “knowledge constructor” will be job titles of the near future, (Briggs, 2016). 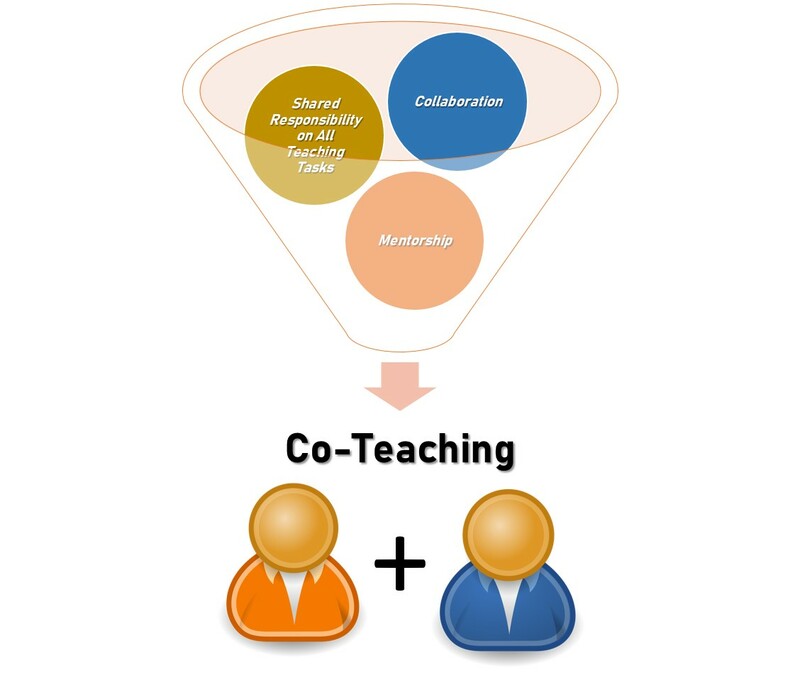 Knowledge construction is a facet of the sociocultural theory using a social context for learning where students develop a better understanding of content through collaboration. Students work together to gather information and develop solutions to real-world problems, effectively forcing students to move past their existing knowledge of the world, (Shukor, 2014). Using real-world problems peaks students’ interest of assignments and allows them to put their own spin on a probable solution. This problem-based model allows educators to promote learning through activities that acknowledge what students already know, consider what students need to know to create a solution, and cultivate ideas to solve the problem, (Edutopia, 2016). To successfully run a problem-based classroom, the focus must shift from evaluation of final products (i.e. correct answers on a worksheet) to evaluation of the process in which the answers were produced and the content that the students cultivated. Because of this, the final product or assignment is more variable from group to group based on the results of the collaborative process, but should reflect knowledge attainment, (Edutopia,2016). Shifting focus to a problem-based learning model has benefits beyond the content that students construct through their group work. Students are exposed to more skills such as planning, monitoring, synthesizing, organizing, and evaluating, (Shukor, 2014 & Briggs, 2016). While content curation may not be the main focus of an assignment, understanding how to arrange information in a purposeful way builds information fluency. According to education leader Saga Briggs, content curation is defined as placing purpose and intention on information that should then be shared (perhaps via social bookmarking), used towards the creation of an artifact or final product, and the content curator should provide their own contribution to the body of work, i.e. provide something of value to their target audience, (Briggs, 2016). Developing information fluency, or clearly communicating purpose of information, is a key 21st century skill for students. One problem that students face with information fluency is with current student search strategies. Students miss out on the critical analysis portion in information selection, (O’Connor & Sharkey, 2013). It is difficult, or even impossible, to communicate purpose of information without first critically analyzing the information for relevance. 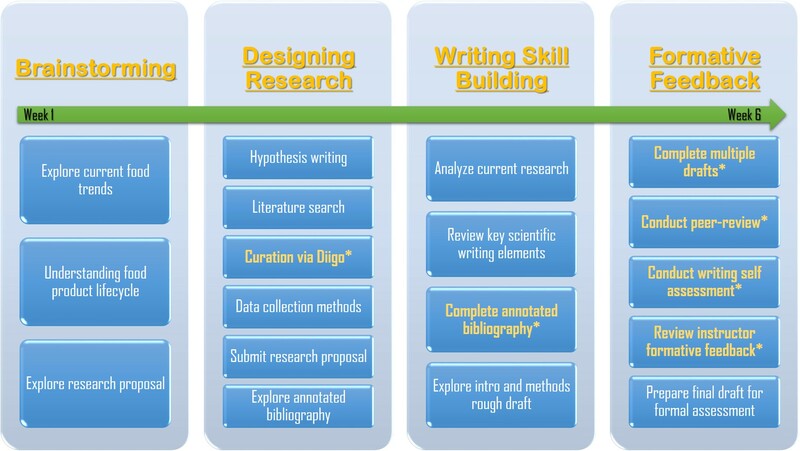 Figure 1.1 summarizes O’Connor & Sharkey’s depiction of the current state of student search strategies. This search strategy depicts a vicious cycle. The educator’s ultimate goal is to get students to conduct higher level investigation (i.e. 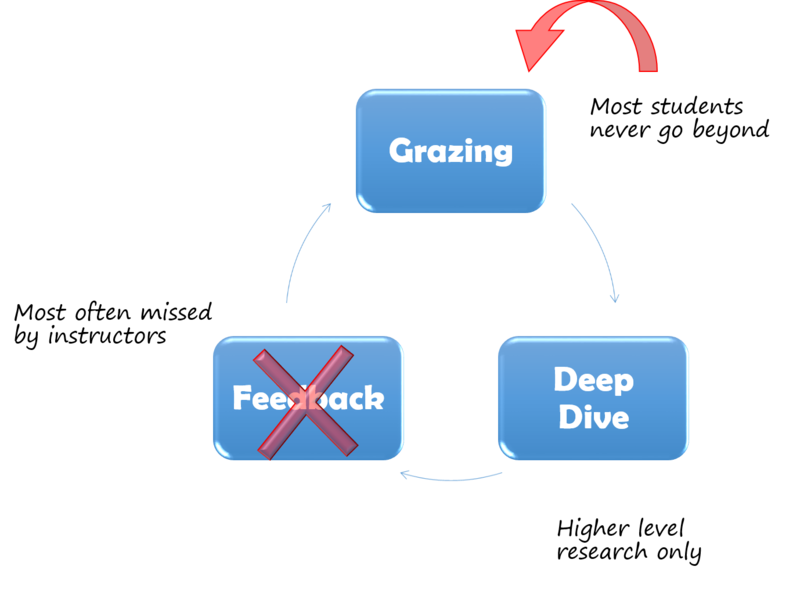 critical analysis), but most students never move past the “grazing” or the background search. This problem is further exacerbated by educators who do not provide feedback (see my previous post on formative feedback). Therefore, there is a need to teach students how to interpret, synthesize, and construct new concepts through effective search strategies, (O’Connor & Sharkey, 2013). Putting the Theory into Practice: The Content Curation Investigation. Resource Search. When investigating possible annotation tools to help students better curate and organize information from scientific literature, three main criteria came to mind. 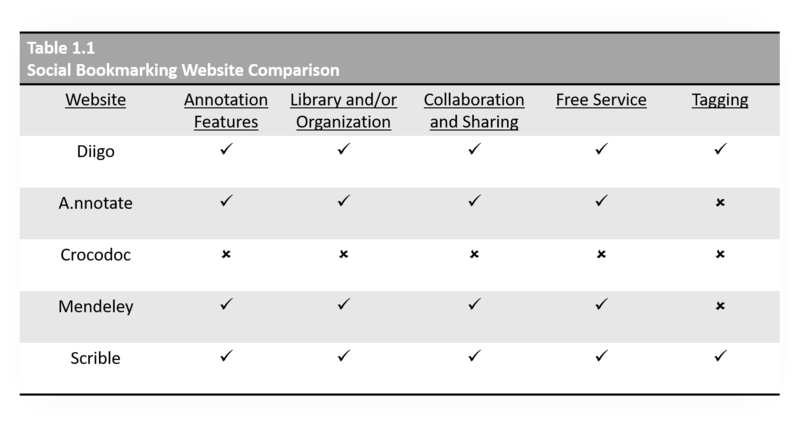 The tool must: 1) offer annotation features; 2) allow for organization of literature and/or annotations; 3) allow for collaboration and sharing. Annotation is the skill of focus for the assignment. Being able to cultivate useful information via annotation from scientific works will allow students to create connections through the practice of active reading. The goal of annotation in this sense means that students are reading to not only review what information already exists, but also analyze that existing information to infer what may be missing (i.e. literature gaps), and connect their work to the existing literature. 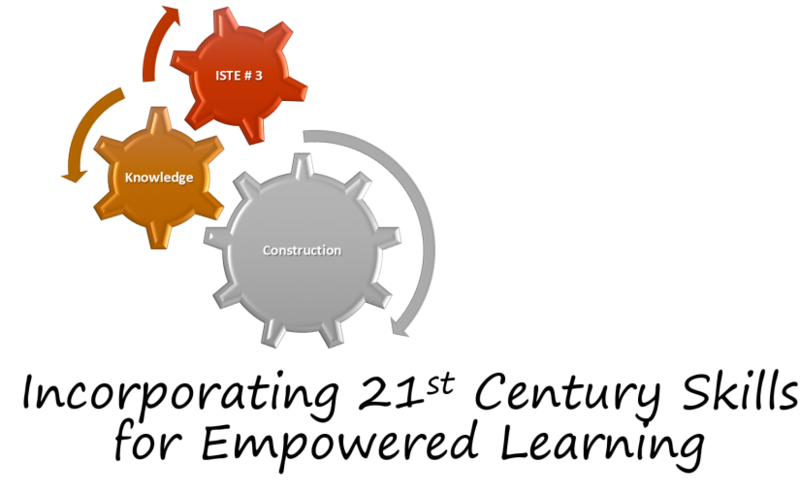 A tool that aids in organization will also help fulfill the ISTE standard for students on knowledge curation by thinking about the literature as categories to better extract information from each resource, thereby helping to also develop their information fluency. How students classify their information will help them organize their ideas and later their final artifacts. Lastly, the ability to collaborate and share their annotation/organization is important to receive formative feedback. My investigation began with a google search using “social bookmarking for education” and “web annotation tools for education” as keywords. Several articles from edtech sources listing the top favorites were reviewed, resulting in over thirty different types of tools and apps. To narrow this selection, I applied the three criteria above which produced five possible options. A summary of each option is provided in table 1.1 below. Resource Comparison. From this investigation, Diigo, Mendeley, and Scrible fulfill the three criteria above without interface issues, currency issues, and are still available. Crocodoc is no longer available (R.I.P. Crocodoc), and A.nnotate’s user interface looks dated and does not offer all of the added features found on the other three websites. In fact, when searching for reviews of A.nnotate, the latest one I could find dates back to 2008. Comments in that review article suggest using Google Docs or even Microsoft Word as an alternative to A.nnotate. Diigo offers a library that supports multi-source uploads including pdfs, images, screenshots, and URLs into their library (see Figure 2.1 below). The highlight feature of this app is the ability to organize and categorize resources using tags. These tags can be easily searched for quick access to a specific category or categories. The user then has the option to annotate the resource which can be shared with a group that the user creates (the assumption is that group members also have Diigo) or through a link the user shares. Other features and benefits are explored here. Diigo is a free service, or rather at sign up, the user must choose a package, the most basic is free. The free version allows up to 500 cloud bookmarks and 100 webpage and pdf highlights. The downside, the free version doesn’t not allow for collaborative annotation. My initial impression of Mendeley is that it is very research-focused. Upon further investigation, my impression was correct as the website is a partner with Elsevier, a parent company to many peer-review journals. In the profile creation process, the user is asked to fill out a short survey on intended use and level of use (i.e. undergraduate v.s. graduate research). Like Diigo, the library allows for uploading pdfs, or articles directly from the web. The library can be organized into folders, but does not allow for tagging. See figure 2.2 below. The annotation feature offers highlighting and sticky notes (comments). Articles can be shared via emailable link for individuals who do not have a Mendeley account or the user may elect to create a group to share documents to peers with accounts. An interesting feature of Mendeley is the desktop version of the website that saves permanent article copies to the user’s desktop to allow for offline work. Scrible seems to be a fairly new website. 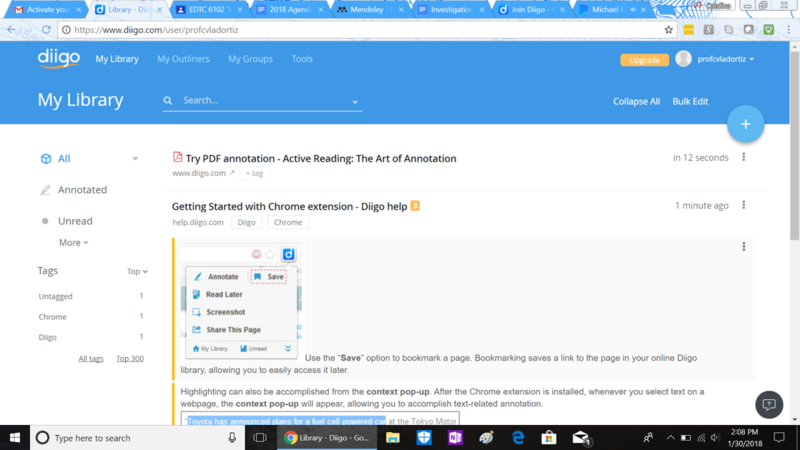 While the purpose of this site is to allow for social bookmarking and web annotation just like Diigo and Mendeley, it also has a classroom feature. Educators can upload resources that all students can access. Scrible can also be incorporated into an existing Google Classroom. Students can appreciate a seamless integration with Google Docs and as an added bonus, the site will automatically create citations and bibliographies. Figure 2.3 shows the Scrible library. The downside of this website is that while the classroom, the google doc integration, and the citation features are free for K-12 classroom use, it is not free for higher education use. Higher ed users are given a 30-day free trial and then the program converts to the basic plan which offers the exact same features as Diigo. Conclusion. 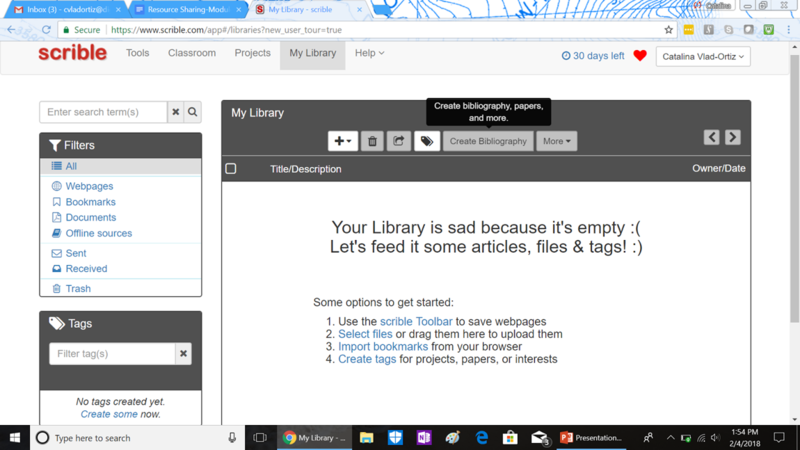 Diigo and Mendeley are easy to use, offer sharing features, and connect to social media for collaboration though neither support collaborative annotation in the free versions. In addition to the features mentioned above, Scrible does allow collaborative annotation in the basic package. Diigo seems to be optimized for websites and web articles while Mendeley is optimized for research articles, with Scrible somewhere in-between. 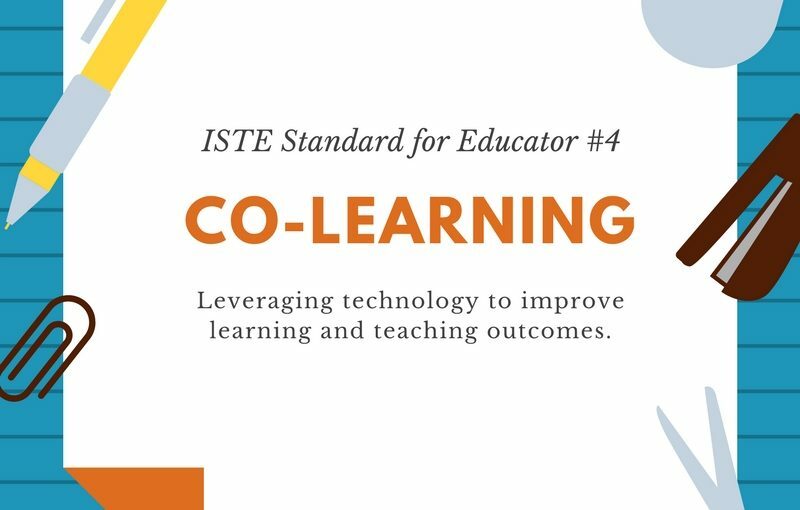 Since all three websites offer the same desired features, all three score highly on the Triple E rubric: 5 points on engagement in the learning, 6 points on enhancement of learning goals, and 5 points on extending the learning goals. Therefore all three would fulfill the assignment goals. In order to pick one appropriate for this assignment, I would need to consider the students. 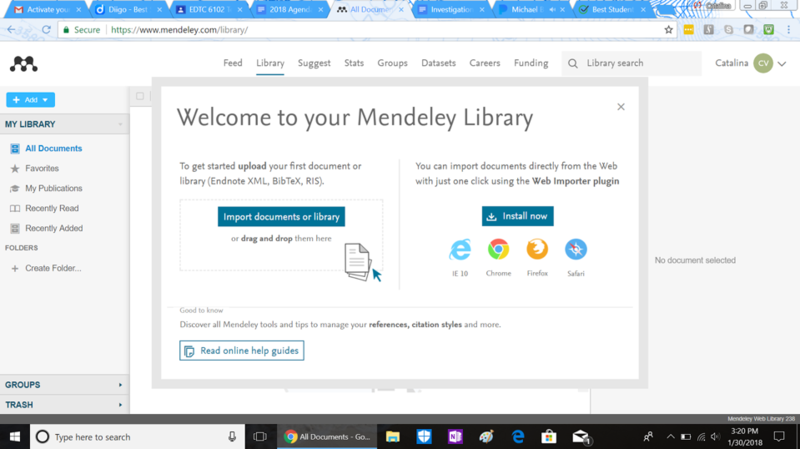 Mendeley, designed specifically for research articles, is not only a good fit for the assignment, but students could continue to use this website should they go to graduate school. Diigo is focused on web articles and could be used by students in their other classes or other aspects of their professional lives. Scrible, having more of a focus on education, may not be equally as useful outside of the classroom. Though any of the three websites would be suitable for the annotation assignment, I do not teach this section alone. I’ve enlisted the help of the university librarian who co-teaches literature search skills for this course. She was quite enthusiastic at the thought of web-tool integration with this assignment and we will be adding another criteria addressing seamless integration with our library website and resources to make our final decision. O’Connor, L., & Sharkey, J. (2013). Establishing twenty-first-century information fluency. Reference & User Services Quarterly, 53(1), 33–39. Shukor, N. A., Tasir, Z., Van der Meijden, H., & Harun, J. (2014). 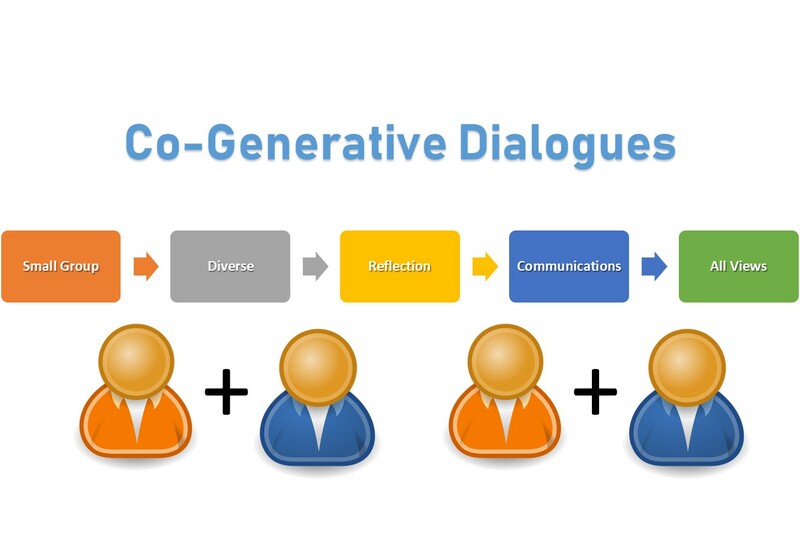 Exploring students’ knowledge construction strategies in computer-supported collaborative learning discussions using sequential analysis. Educational Technology & Society, 17(4), 216-228.